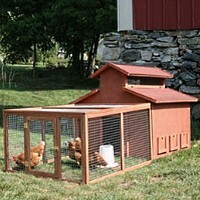 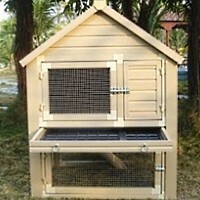 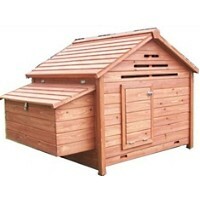 This is a high quality Chicken coop which is made of fully treated and grooved wood. 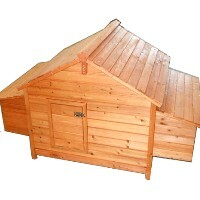 Coated with water based preservative and golden brown finish. 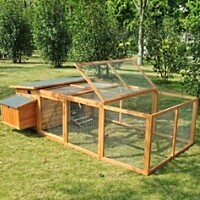 Coming with a two section nesting box for egg laying along with two perches on which the birds can sleep. 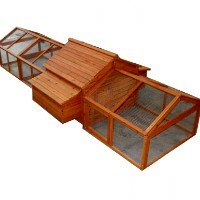 This item includes a chicken tractor that allows chickens fresh forage such as grass, weeds and bugs (although these will quickly be stripped away if the tractor stays put for too long), which widens their diet and lowers their feed needs.